Data shows that it takes up to 13 weeks to execute a contract globally, and over 10 weeks in North America. 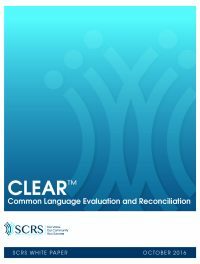 The Common Language Evaluation and Reconciliation (CLEAR) language was created in collaboration with several sponsor and CRO partners to address the obvious need to speed up the contract negotiation and execution process. The purpose of CLEAR is to streamline contract negotiations and thereby accelerate site initiations, leading to increased recruitment timeliness and reduced study start-up costs. Improving productivity by reducing cycle times and accelerating clinical research will allow the industry to get new treatments to patients faster, without sacrificing quality. This initiative benefits all clinical research stakeholders —sponsors, CROs and sites—but most importantly, patients. The CLEAR white paper outlines 5 commonly contentious contract clauses that have been mutually agreed upon by the CLEAR Working Group participating companies: Indemnification, Intellectual Property, Publication, Subject Injury, Confidentiality. We encourage sites to use this language in their contracting negotiation process to increase the possibility of timely contract execution. 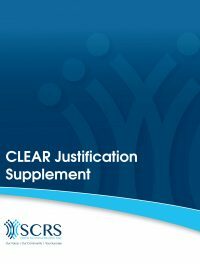 The CLEAR Justification Supplement is intended for sites to use alongside the CLEAR contract language white paper as additional guidance supporting the requested contract amendment. Acceptance of the CLEAR language is not limited to these companies.